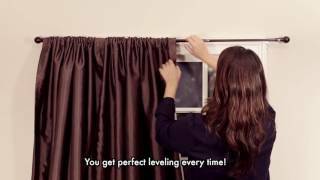 Maytex Smart Window Rods are a smart, simple solution that requires absolutely no measuring and achieves perfect leveling every time. This 3 step solution is available in extended sizes to meet all your window needs. We recommend pairing with the Maytex Smart Window Curtains to complete your look!